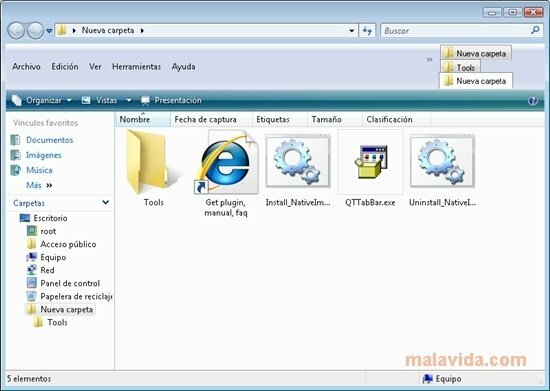 QT TabBar is a small complement for Windows with which you will be able to add tabs to any window of the file explorer, that makes it easier to manage files, because it will be a lot easier to handle what you download from the Internet, maintain your music library organized or access the folders that you use most. 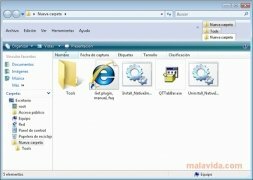 This utility has an integrated search engine, that can be very practical to find files, and what's more, it will allow you to manage each one of the tabs however you want, allowing you to block those that you don't want to be closed. With regard to the graphics, it is necessary to point out that it may seem rather strange to view the File Explorer with tabs to start off, but if you have been using a browser that also uses this system to manage information, you will soon get used to this new experience. 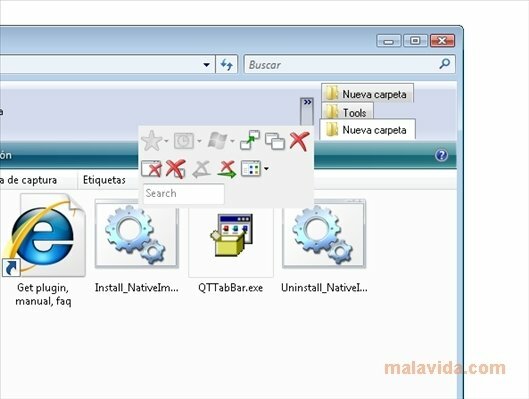 Start browsing between your own folders a lot quicker with QT TabBar, a very practical free development.